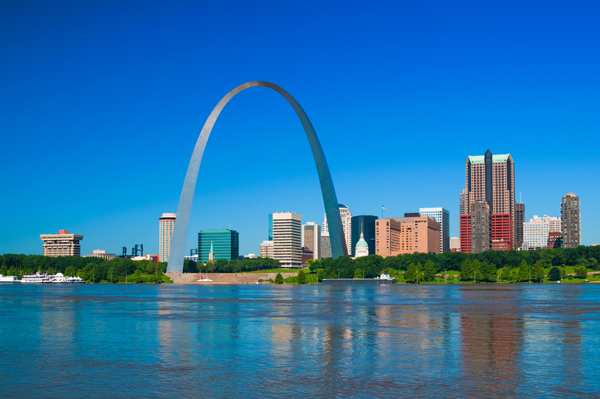 As a locally owned and operated business, The SewerPros is proud to serve the Saint Louis city and county. Trying to figure out the condition of your sewer pipes can get expensive quickly. 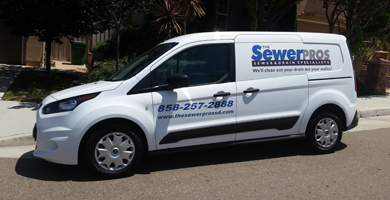 Instead of having to dig up your sewer lines to examine their condition, hire the SewerPros to do a sewer inspection. We will guide a small video camera through your sewer line to help identify their condition and any issues you may have. A report is then created and sent to you within a matter of hours. To set up an inspection or learn more about this service, visit our Sewer Camera Inspections page. 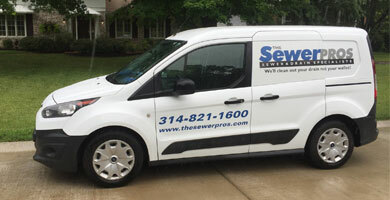 If you are in a situation where you need to get your sewer cleaned, you can rely on the SewerPros. A very common problem with sewer backups is related to tree roots being where they don’t belong. We will use a cable with a cutter head placed on the end that will drive through the sewage line while punching through whatever obstructions may be there. Among tree roots, other obstructions may include wet wipes and garbage disposal remains. Learn about the importance of sewer cleaning here. As part of your routine maintenance for your sewage lines, you should consider hydro-jetting as well. This method of cleaning uses high-pressure, low-volume water to blast away stubborn deposits that are hard to reach. It is recommended that you add this to a regularly-scheduled maintenance to prevent emergency situations and sewage backups. You will see the best results by having this service done annually, saving you money and time in the long run. Learn more about hydro-jetting here. If you are suspicious of a significant problem in your sewage pipes, our dual cleaning and inspection service is an effective solution. Many severe cases are a result of broken pipes or defects. In order to accurately determine the extent of the damage you may have, it is best to clean and inspect the pipe so there are no surprises. Because we provide a third-party evaluation, we will not recommend sewer repairs that are not totally necessary. This dual service is also in your best interest if you have experienced multiple backups. For more information on this service, visit our service page. If you are in the process of developing a major project, it is important to know the condition, direction, and depth of the main sewer line before you begin any work. Our line locating service can give you the exact direction and depth of your pipe so you can make your best project decisions once this information is known. If there is any damage, you will need to repair or replace the line from the house to the street before moving forward with your plans. For more information, visit our information page about line locating. If you are experiencing slow drainage or difficulty draining your sink or tub, it may be caused by an obstruction such as a hair clog. No matter how careful you are, there will always be backups, so it’s important to have a resource for fixing these backups when they arise. We can evaluate and fix your drain problems quickly, and our emergency service technicians are ready and waiting. We will never begin work without laying out the pricing and work that needs to be done first. Learn more about the benefits of drain cleaning here.